Starting today Friday October 20 and through Sunday October 22, Citadel Outlets will host a variety of events that focus on the breast cancer community including on site mammograms, 5K run and pancake breakfast, Health & Wellness Fair and more. You can participate in all the events or one to help raise awareness for breast cancer. I have more information about all the events happening this weekend below! Observed annually on the third Friday of October, this year's National Mammography Day is today Friday, October 20. 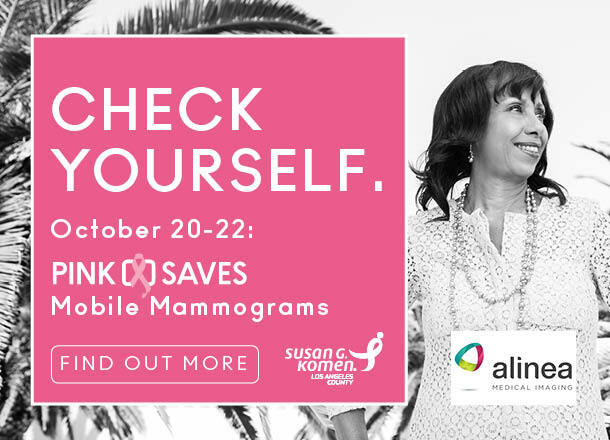 Citadel Outlets, in partnership with Susan G. Komen Los Angeles, will have mobile mammogram trucks on-site to have free screenings starting today and through Sunday, October 22 from 9:00am - 2:00om each day. Registration will be available at www.pinksaves.com but walk-ups are also welcome. Susan G Komen representatives will be there to provide education, support and on-going services for all participants. A Supporter's Lounge with TVs, snacks and beverages will be available for those waiting for loved ones to complete their mobile mammograms. On Saturday and Sunday from 10AM-4PM, Citadel Outlets will also host a PINK SAVES Health & Wellness Fair focused on providing education and support for the breast cancer community. Attendees will have the chance to participate in specialized on-site workout classes, a live cooking demonstration with Chef Curtiss Hemm, co-survivor and contributing author of Breast Cancer Superfoods, and meet with and learn more about a number of breast cancer-focused charities, including Pink Lotus Foundation, a non-profit organization founded by Dr. Kristi Funk and focused on helping low-income women who are uninsured receive treatment. 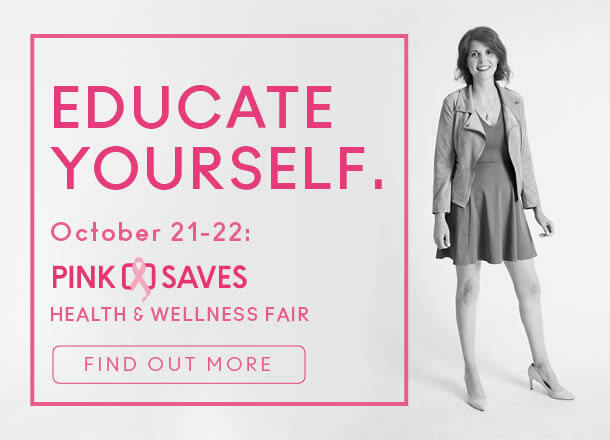 All PINK SAVES Health Fair events are free and open to the public. Check http://www.pinksaves.com for a full schedule of events. Citadel Outlets is conveniently located 10 minutes from Downtown Los Angeles and 25 minutes from Anaheim, off Interstate 5 at Atlantic Blvd North at 100 Citadel Drive, Suite 480 Los Angeles, CA 90040. Information and images were provided by Citadel Outlets.